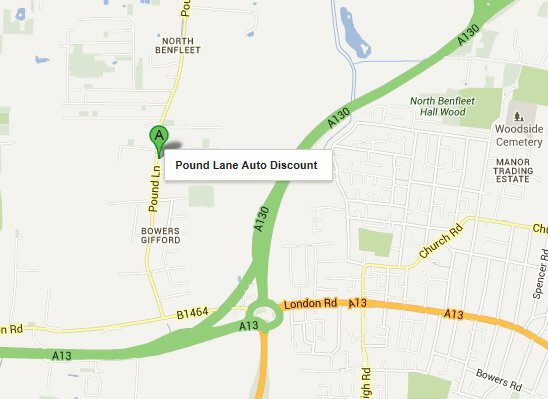 Living on Canvey Island you may have heard of the name of Pound Lane Auto Discounts over the years, but never thought it was worth driving from the island to get your new car parts or spares from us. 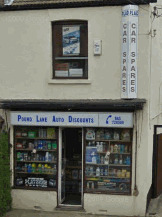 Well I can assure you, if you decide to give us the benefit of the doubt you can join our loyal customer base of Dads, Sons, Daughters and Mums, that have been visiting our close to Canvey motor spares shop time after time since 1981. Yep, Pound Lane Auto Discounts or Car Spares Essex as we are known online, have been just a few miles from Canvey for over 30 years, which means…and we don’t want to boast, but we are going to…we know what we are doing. It doesn’t matter if it is a full clutch set, a single bulb, a complete service set, or just a nut and bolt, we will try our very best to provide just what you want. So what can we offer you to make you drive across from Canvey? We are open seven days per week. Our prices are as competitive as we can make them. If our suppliers raise the prices on the car parts and spares, we will try our best to stop these increases affecting you as much as possible. And we have a great range of new car parts and accessories at our auto parts outlet, whether actually in stock or by locating it on your behalf. So if you need car parts for Fords, Kia, Jaguar, or even spares for boats, and unusual import vehicles, we can supply them, get them for you, or point you in the right direction most of the time. So now we have told you a bit about us, I’m sure you are wondering where we are based. Well it’s not Canvey Island but it’s not far. Use the driving instructions which we have detailed below, and you can leave your home in Canvey and come straight to our door. And of course if you want to just phone us or email us, or even place an order online then you have these options too. And that desire to take the unwanted effort out of your driving and motoring experiences is why the Island have the perfect car spares accessories shop right on their doorstep. Come on.....give us a try. The list below will give you a good indication of the vehicles that we can supply for. Head either down the A13 or the A127 looking for signs for Caney Island. You will hit the Sadlers Farm Roundabout, which can take you to other areas of Essex. Take the B1464 (London Road) and then at the very bottom of the hill you will make a right turn into Pound Lane. Drive down the road for about a mile and you will find us about 100 yards on the right hand-side after you pass a garden center. Drive along the A13 or A130 until you arrive at a large roundabout known locally as the Sadlers Farm roundabout. You will take the 3rd exit which is the B1464 (London Road). Drive over the hill and then at the bottom turn right at the traffic lights into Pound Lane. We are about 100 yards further, on the right hand side. There is a lay-by which can be parked in, or roadside parking is plentiful.